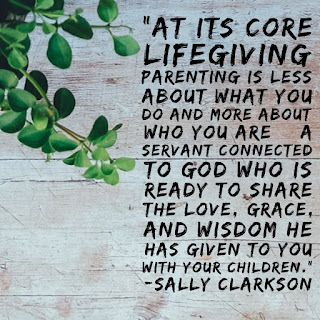 I LOVED Life Giving Parent! 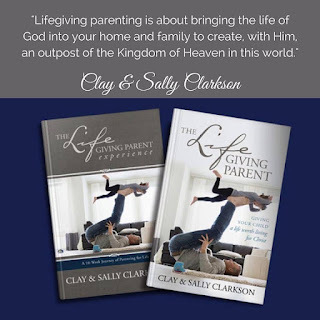 I am not sure how to write a review for one of the best parenting books I have ever read. Every single page was inspiring. I have continually read tons of books on parenting to gather skills that I did not learn and instill virtue in my own heart. Sally and Clay have written something I will read again and again. I have already purchased the study book so that I can work my way back through it. Read it. If you see Sally out and about, ask her if she will come live with me. This book will help you realize the time you have with your kids is precious and how to number the days you have with them. You will be equipped to nurture your child's spirit, guard their heart, renew their mind, and shape their will/character. In the process, yours will be shaped and formed as well. It is full of what is good, true, and beautiful. 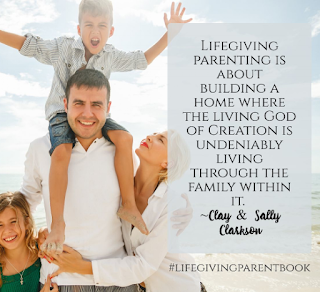 "Only you-parents alive in Christ because of the Holy Spirit within you-have the ability and power of the Spirit to make your home a Christian home. Engagement with Christian culture does not define a Christian home; engagement with the living Christ does." This book was graciously given by Tyndale House for review. Affiliate links are a great way to support your friendly neighborhood blogger's ministry house renovation. I came across this book on a prayer prompt page I follow. It gives you one idea to pray for each day. Their May calendar was based on things in this book. When I saw it come into my queue for review, I was excited! Y'all. I loved it. I cannot tell you how many times I screen-shotted something and sent it to a friend, highlighted things, or wrote words from this book down in a journal. It's good. It's full of wisdom. It's solid. It reminds us that a Spirit-led heart is defined by truth. This is not some weird book about the Holy Spirit. This is Bible-based goodness. I have something highlighted on 81 out of 201 pages. That's a lot of love. Suzanne tackles and gives light to many things we are looking for answers for. She gives light to confusing things in a beautiful, simple way that gives them great clarity. Mostly, she reminds us that we are invited beyond the veil to ask for what we need and to enjoy God. *This book was graciously provided by Bethany House Publishers for review. New from Bestselling Proverbs 31 Author Suzanne Eller! Without realizing it, we've gotten lost in our own little lives. We've settled for "good enough" and days that run together in an unmemorable blur. We long for something to shake us up, but we're exhausted by the thought of it too. 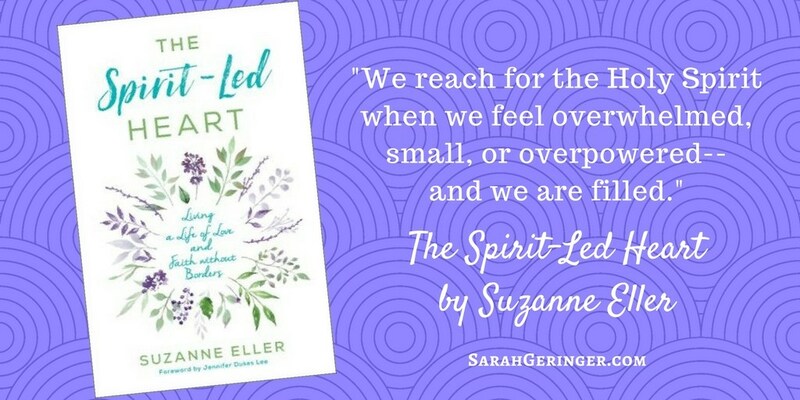 In her warm, vulnerable style, bestselling Proverbs 31 author Suzanne Eller shows how living and loving without limits has nothing to do with your own efforts--and it has everything to do with God's Holy Spirit. 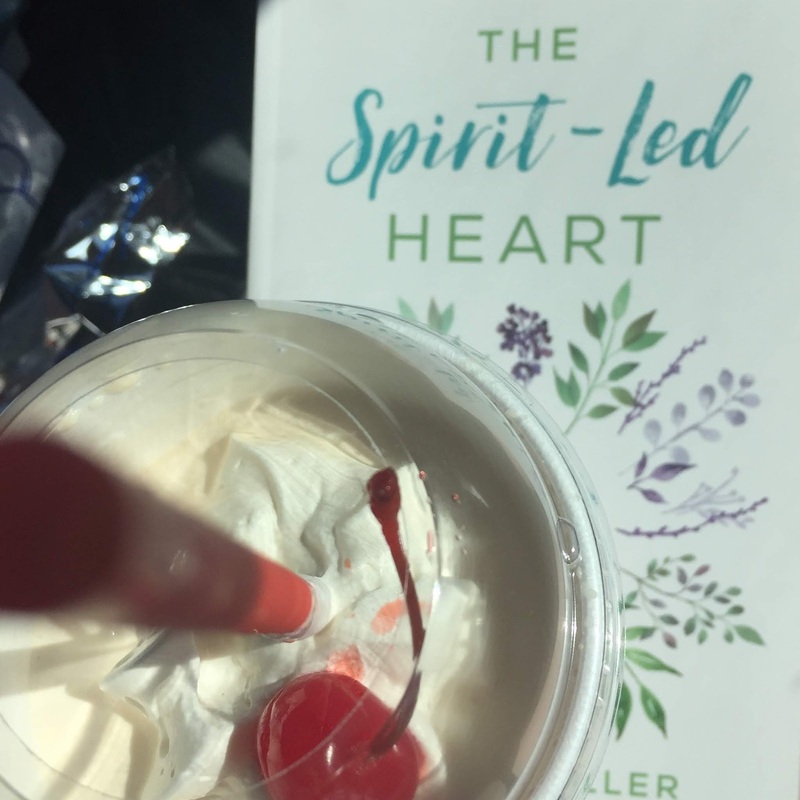 Unpacking the promises and teachings Jesus shared with the disciples about the Holy Spirit, Suzanne shows how you can stop settling and start trulyliving. When you learn to unwrap the gift of his presence, you'll find the world-changing, foundation-shaking, soul-stirring life of passion and purpose God is waiting to give you.